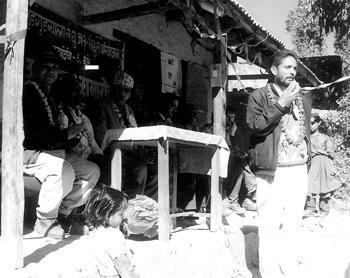 LEADING BY EXAMPLE: As VDC chairman of Kushadevi of Kavre, Bhim Neupane inaugrates a microhydro plant on Gudgud Khola in his village in 2000. As Bhim Neupane walked up the dusty trail to the village of Katunje, he greeted women carrying oversized loads of fodder grass, asking how the children were doing in school. He stopped at a tea shop, and was welcomed warmly with smiles and namastes. He spoke to farmers and asked about their water buffaloes, whose individual names he seemed to know by heart. Fifteen years later, I was walking again with Bhim Neupane along the same path, which is now a motorable road. VDCs were dissolved by Sher Bahadur Deuba government in 2002, local bodies across Nepal have had no elected councils since. Even so, Neupane is approached by families who want citizenship papers certified, and he is still asking them about their cattles. After visiting Kavre, Dang, and Rupandehi in 2000 to meet elected village leaders like Neupane, it was clear grassroots democracy was finally delivering development. 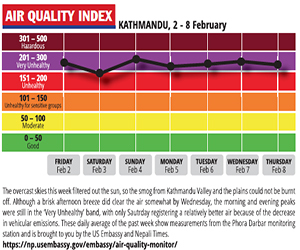 Cynics who said democracy was a luxury for a poor and illiterate country like Nepal could not have been more wrong. To be sure, national level politics was a mess back then, as it is now. The Maoists were impatient for regime change, their bloody insurgency had entered its fourth year. Local elected officials were their first targets, and by the end of the conflict three-fourths of the 3,900 VDCs across Nepal had been destroyed. Kushadevi’s VDC block which also housed a health post and training centre was bombed twice, and the Maoists killed charismatic and respected local leaders like Krishna Sapkota in 2002. Sapkota was tortured and decapitated, his head displayed in the village square to terrorise others. Neupane stayed in Kushadevi through it all. Indeed, it was during his two five-year tenures as VDC chairman that Neupane upgraded government schools, added a 10+2 campus, rehabilitated health posts, built 50 km of roads that today provide access to markets for Kushadevi’s dairy and vegetable farmers. He brought drinking water to far-flung wards, irrigation for off-season vegetables, and Kushadevi was lit up at night with microhydro power. The VDC also stood guarantee for insurance so farmers were not ruined if the costly livestock died. “Buying a buffalo was a gamble, but insurance reduced the risk and it lifted many farmers here out of poverty,” Neupane recalls. 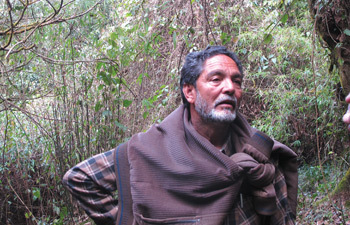 Last week, 12 years after VDCs were dissolved, he was hiking up the mountains to explore the possibility of homestay tourism to augment income of villagers. Across Nepal, VDCs have been run since 2006 by an unelected club of the three main parties and a government-appointed secretary. But people still turn to charismatic chairmen like Neupane for leadership and advice. Villagers in Kushadevi have given up on the government, and now take their own initiative when something needs to be done. “Nothing has been built here in the last 12 years,” says Laxman Humagain, a Kushadevi native. Kathmandu-based quarry tycoons have bought off entire mountainsides to feed the capital’s construction boom. Families have been displaced, springs have gone dry as excavators claw at the slope and tipper trucks groan through clouds of dust. Neupane says the quarries would be strictly regulated if there was an elected village council.